As some of you may recall, in May of 2018, we and many residents of Little Creek received a proposal from the Army Corps of Engineers of a plan from the Joint Expeditionary Base Little Creek to turn the Little Creek Harbor into a restricted area. Doing so would have required multiple actions to have been taken by boaters wishing to use Little Creek for recreational purposes that would have had noticeable impact on the harbor and its usage. On November 28, 2018, the Joint Expeditionary Base Little Creek (JEBLC) Commanding Officer held a meeting with members of his staff, some concerned boaters and business owners. Based on the inputs they received after their initial proposal, the base came up with what everyone agreed was an acceptable compromise. 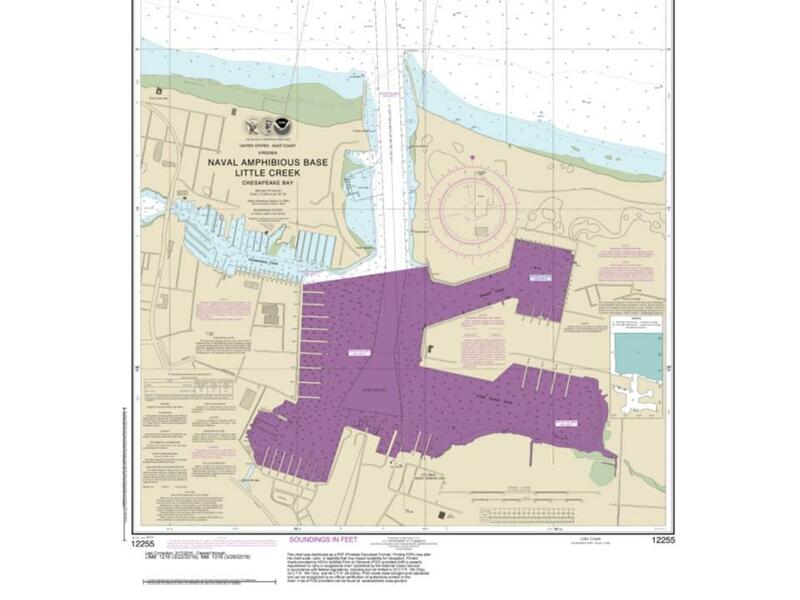 The Navy welcomed the constructive public feedback to the Proposed Rulemaking for a Code of Federal Regulations in the Little Creek Harbor. The JEBLCFS Base Commander worked with the Army Corps of Engineers to adopt changes, based on the feedback, that enhance base security needs while making the channel a safer environment for public and commercial boaters. 2. All vessels transiting inbound/outbound of the main channel of the Little Creek Outer Harbor shall proceed at speeds commensurate with minimum wake. This designation will provide improved safety and security to all users including the military while still allowing the public to proceed at speeds that support safe navigation. The public will continue to enjoy the regular use of the channel in the Outer Harbor transiting to marinas, restaurants, and property along the waterway. 3. Vessel operators who have VHF radios are encouraged to monitor Channel 12 thereby receiving potential critical information from Little Creek Port Control. NOTE: Outer Harbor access may be restricted in the event of a significant emergency such as an attack similar to those that occurred on September 11, 2001. Coast Guard Sector Hampton Roads, Virginia Marine Police and other water borne law enforcement agencies would implement the controlled harbor movements. Such actions during a catastrophic event would not only enhance base security, but the safety and well-being of those who operate boats, businesses and live in the vicinity of East Beach and Pretty Lake areas. We here at Cobb’s Marina want to thank our many slip renters, work order customers, and transient boaters who reached out to the base staff, government officials, and local news media to raise awareness of this issue.